After purchasing all my paper crafting products for the last few months, I figured I should actually start creating some cards. I watched lots of YouTube videos where people generously showed how to make different cards using various techniques that add unique creative touches to the cards. 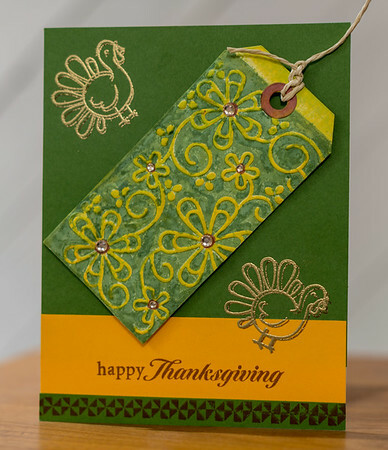 I was inspired enough to make my first handmade custom card for Thanksgiving. It turned out so well, I made another, took some pictures, and then sent them out to real people. They just loved the cards.